Happy October and Welcome Cooler Weather! Beautiful day to start off October. I left the house this morning and the car was showing 61 degrees outside. Perfect! 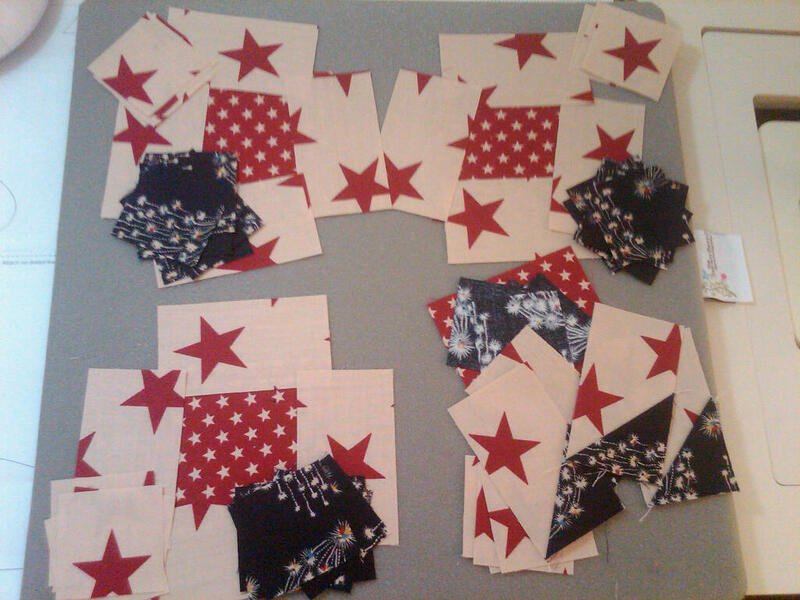 Two updates … first, I cut out the pieces I needed for the corner units of the MIL Stars and Stripes quilt. All that is left is to assemble them and add in the two borders. Second, I made a LOT of progress on my Away From Home BOM. This is all part of Block 1. I feel so good about it, I’m going to link up to Sinta’s BOM Rehab for today and show it off. I realized that I am very happy with my decision to machine applique instead of needle turn these pieces. I may do needle turn on the women figures due to their complexity, but who knows? I really like how this turned out. 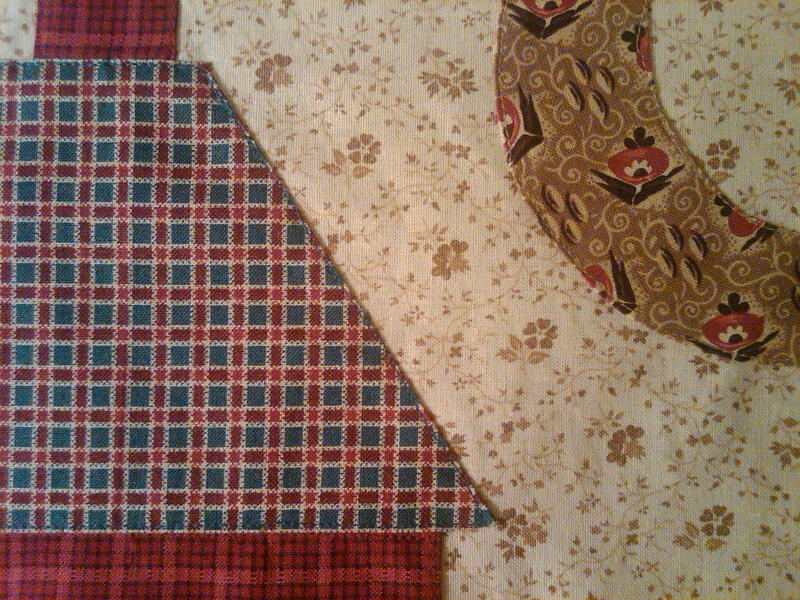 Here’s a closeup of the different pieces and you can see where I am sewing just inside the edge of the fabric. I think this is acceptable – yes? It should hold fine in a wash – yes? So, here’s the plan now. I’m taking a break from this particular block and going to open up my Mill Girls BOM for which I have blocks 1 and 2 already. 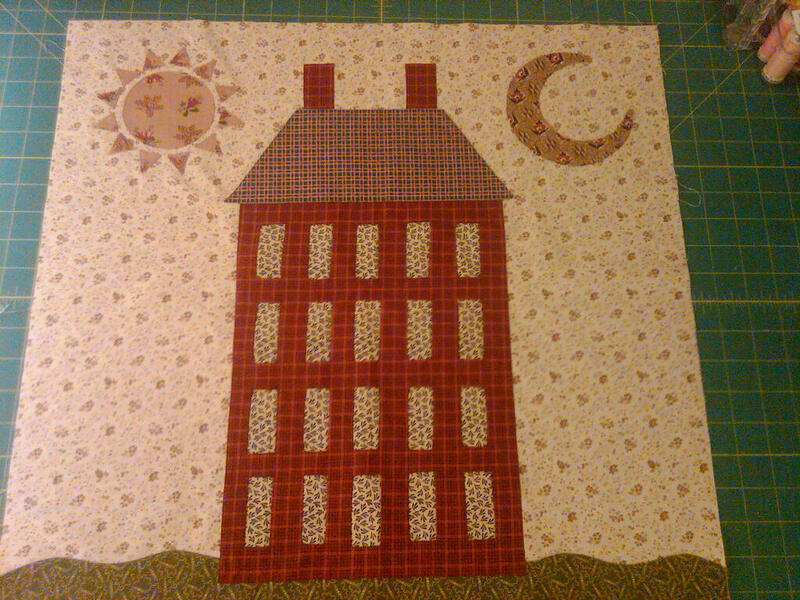 These are pieced blocks, so I hope they go quickly. I have been waiting a long time to start this quilt. I think it will be beautiful! Your block is beautiful and your new project is going to be fantastic! I can’t wait to see it in progress! So glad to have discovered your blog! 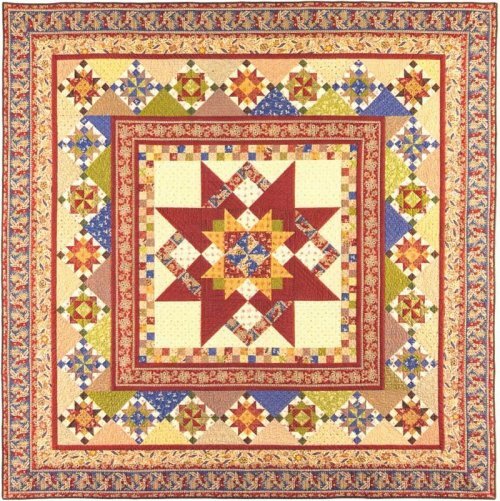 Love the new project and that Mill Girls collection.